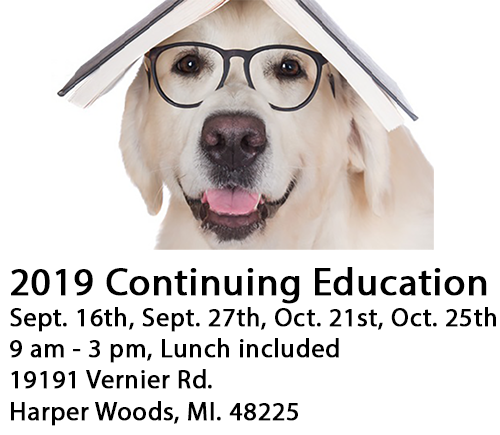 IMPORTANT CHANGES to Con Ed requirements are hyperlinked at the right under "Additional Info"
CON ED vs. CODE OF ETHICS - Continuing Education (as required by the state) and Code of Ethics Training (as required by the National Association of REALTORS® are not the same thing! Sometimes Con Ed classes will include COE, but not always! Please check with the instructor or course sponsor to find out what is / is not included in a particular Con Ed class. *If you are a new licensee this total can change based on when your license was issued. Please refer to the Michigan Department of Licensing and Regulatory Affairs (LARA) to know how many hours you are required to take for license renewal.